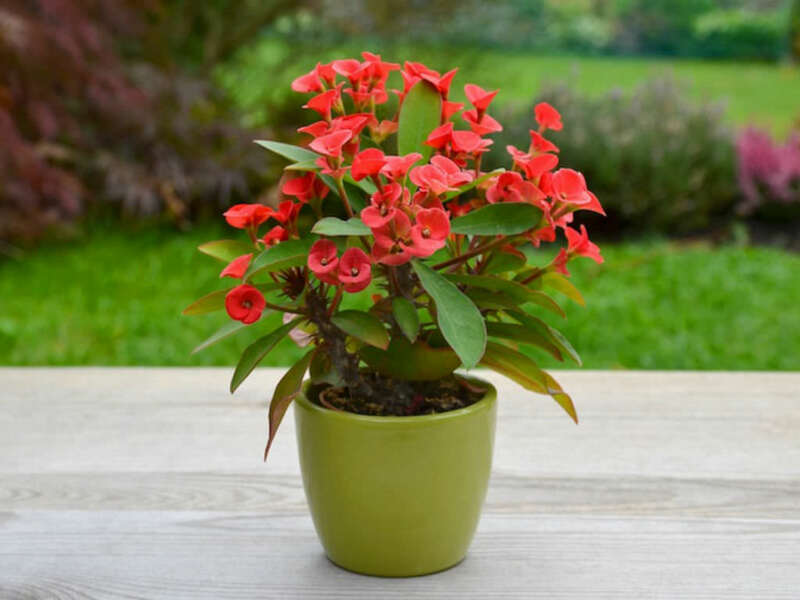 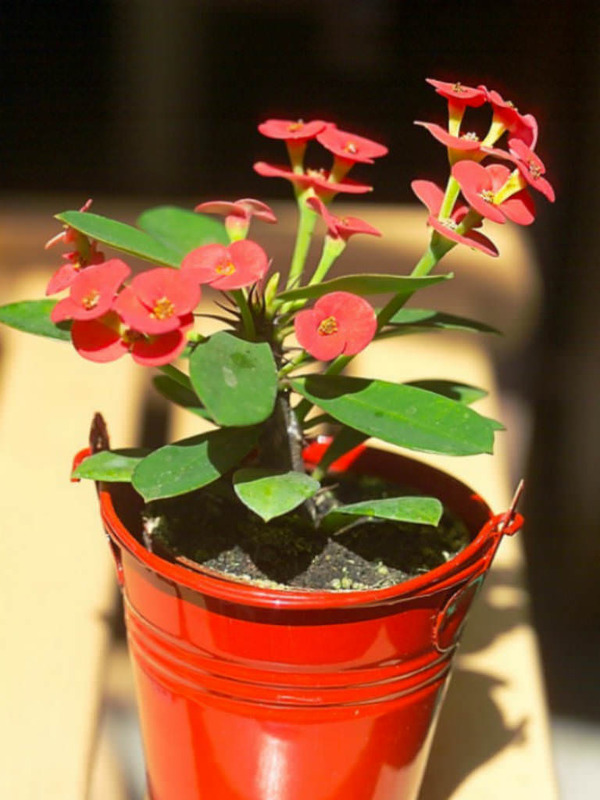 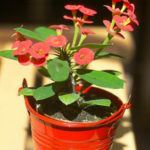 Euphorbia milii is a succulent, climbing shrub growing up to 6 feet (1.8 m) tall. 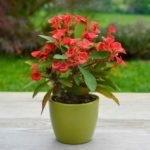 The stems are grayish-brown, 5- to 7-sided, branched and up to 3 feet (90 cm) long, with many prominent, grey spines up to 1 inch (2.5 cm) long. 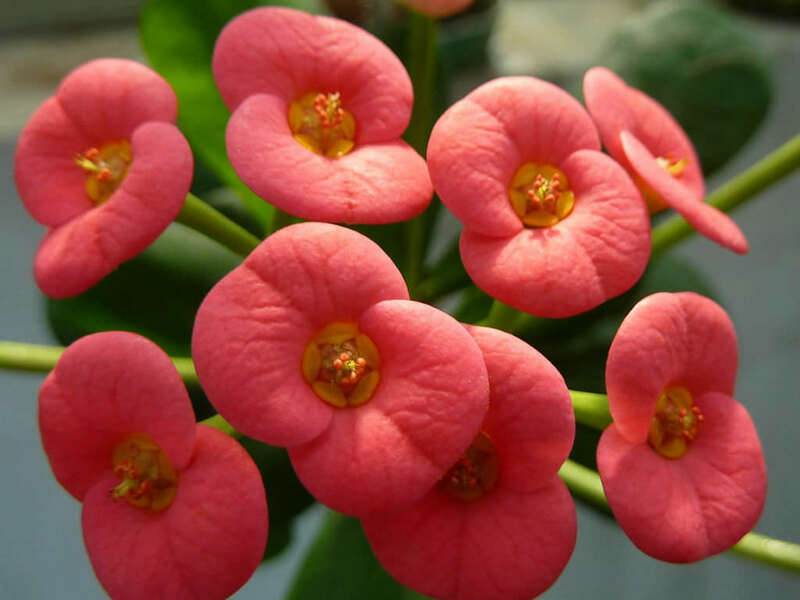 The leaves are found mainly on new growth and are obovate (wider near the tip), up to 1.4 inches (3.5 cm) long and 0.6 inch (1.5 cm) wide. 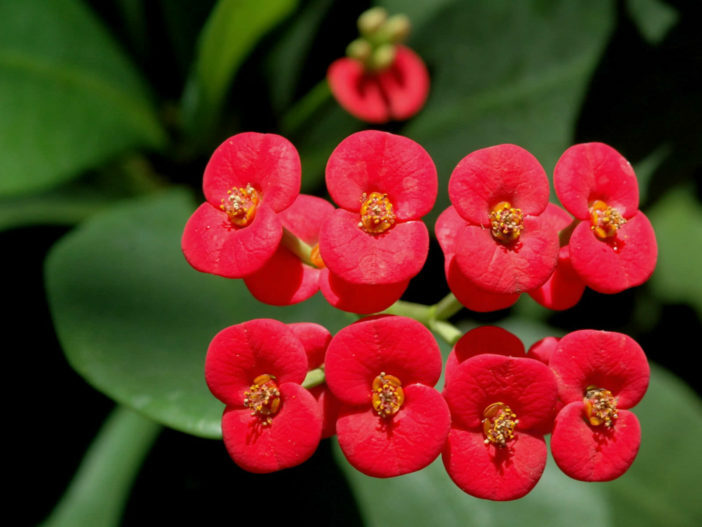 The flowers are small, variably red (pink, yellow or white), up to 0.5 inch (1.2 cm) wide, subtended by a pair of conspicuous petal-like bracts. 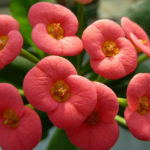 Euphorbia milii is native to Madagascar.